If you can adopt new perspectives, achieving win-win agreements is easier, says Minna Helle. 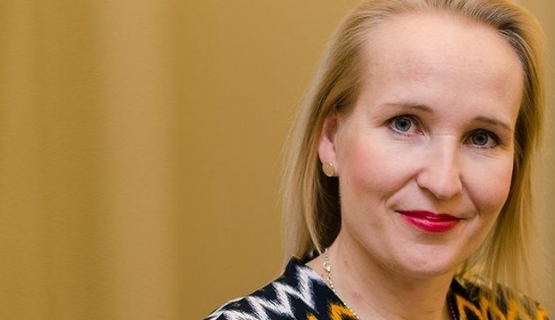 Although National Conciliator of Finland Minna Helle is not in charge of a hierarchical organization, she still applies a range of leadership skills in her work. ”I am in charge of conciliation in labor disputes, which are often highly conflicted negotiations where the stakes are high. My entire career has been about negotiations. It is very important to be able to see issues from different perspectives. It makes things seem different and smoothens over ideological differences,” Minna Helle says. She points out that it is also important to 'listen between the lines', to hear what is not being said. Sometimes that can be more important than what is being said. Before taking up her current post at the beginning of this year, Minna Helle was the Director of Negotiations and Social Policy at the Finnish Confederation of Professionals (STTK). Her career history consists of a number of labor market organizations. In addition to STTK, her previous employers include the Finnish Pension Alliance (TELA), the Union of Health and Social Care Professionals in Finland (Tehy), the Union of Journalists in Finland (UJF), and the Confederation of Unions for Professional and Managerial Staff in Finland (Akava). Ms Helle does not see a deep ideological gap between her past and the National Conciliator's Office. ”I studied labor law and initially wanted to work for a labor market organization. I could have ended up on either side,” she says. The gap between work and capital has also been narrowed by the changes in working life during Ms Helle's career over the last two decades. She can see that working life has changed for the better, but it has also become more demanding. Ms Helle refers to a study showing that employee motivation and well-being can increase performance ten-fold compared to routine performance. This is why she believes that rather than taking an oppositional approach, we should aim for win-win agreements with benefits for both parties in the labor market negotiations. However, win-win agreements are easier in theory than in practice. At the moment, it seems that the labor market is all about losing and not winning. In 2006, Minna Helle made her first move from a position of advisor to management, when, aged 34, she was appointed Director for Employment Relations and Social Policy at Tehy. ”At the time, a management role was entirely new to me, although I had studied the topic and prepared for it. I was also very young to be leading a labor market organization. I felt that I needed both training and sparring,” she says, thinking back. Training had to wait, however, as the new labor market leader was faced with potential industrial action in the autumn of 2007, with 16,000 nurses threatening mass resignation. She did not have time for the Aalto JOKO® program until the following year. ”I wanted training with a focus on strategy and goal-oriented management – I was determined to make a difference in my organization and Finnish labor market policy. I also wanted to use the program to meet people from other industries and different sides, to broaden my horizons,” Minna Helle says. According to her, strategic thinking is not restricted to corporations. Most of Minna Helle's fellow participants worked in business, but some were in the public sector and NGO's. It is safe to say, then, that the newly appointed manager fulfilled her goals. In addition, she gained self-knowledge and the ability to analyze her own practices. Read more about AaltoJOKO® program that Minna Helle has participated in.